Have you ever found yourself having to scramble around for a USB plug to charge a second phone or other device? Do you fight with your loved ones over who gets to charge their phone first? Maybe you should invest in a 4 Port USB Wall Charger. 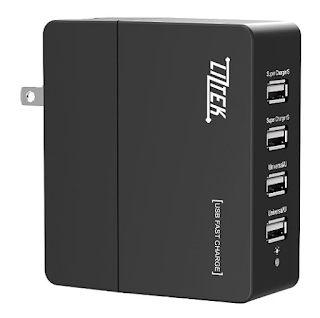 The 4 Port USB Wall Charger plugs into any regular outlet and gives you 4 USB charging options. But wait. 2 of these USB ports are super charged for devices which need higher power, like tablets. Now there is no more fighting over who plugs in first. Now I can keep all my devices handy when I charge them overnight. 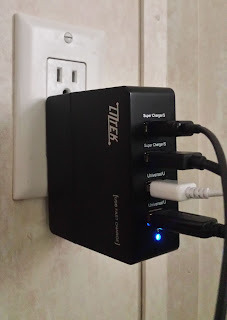 The 4 Port USB Wall Charger easily recharges my phone, tablet, bluetooth speaker and smartwatch without having to plug them in all around the house. Who needs all of this stuff anyway? 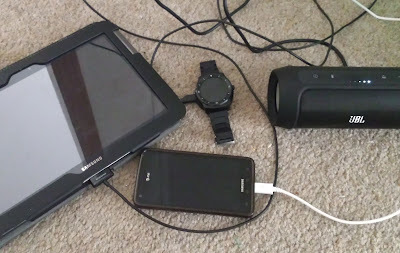 The charger works well, if not a fraction slower than charging each item individually. This was most noticeable while recharging the bluetooth speaker, which took about 90 minutes longer than with the charger which came with it. The other issue which stops this charger getting 5 slaps occurs when switching out cables. The charger is slightly bulky and loosens itself from the outlet under it's own weight. Providing the unit is left untouched it remains plugged in. Also due to the bulk, it is not possible to use the second outlet on a conventional wall socket. Aside from these design flaws, I am pleased with how this wall charger performs. Even when charging four items at once, there is no excessive heat given off. There is plenty of space between the outlets for convenient plugging and unplugging and there is even a little blue LED to let you know that it hasn't fallen out of the wall outlet. 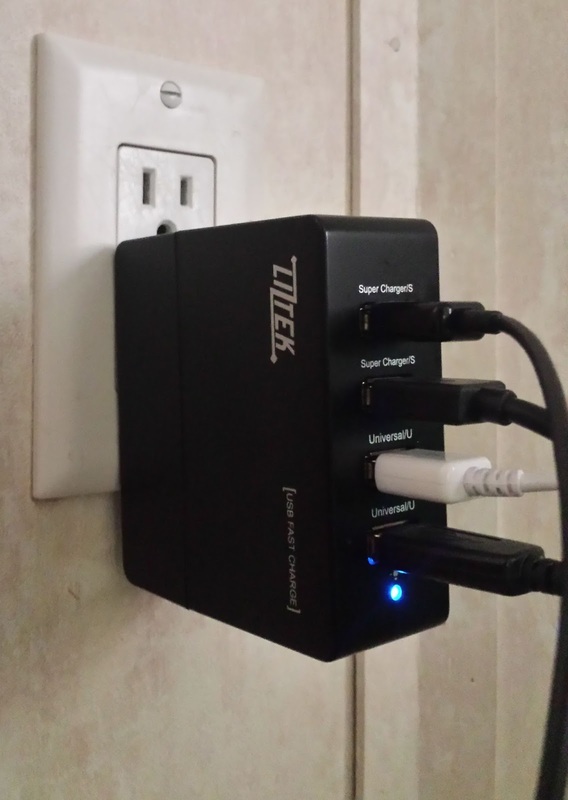 I would recommend this product to anyone who needs to consolidate their USB charging or those who argue over who gets to use the single USB charger first.